My worplace is willing to financially sponsor me for a week in the US as a appreciation for my recent performances. They also wants me to attend a couple of design conferences while I am there. I will have the conferences on two different locations and will be having around 3 days for sight seeing and to do some shopping and whatnot. Should I apply for a B1 or a B2 visa? And since my employer is financially sponsoring the entire tour what documents should I need to submit? Should I also show my financials? I recently had a canadian trv refusal also. Will that be an issue? I have travelled to the UK 4 times and thailand once. And I have one unused japanese visa. My family lives in England. I will be having my wedding in April. Please explain my odds of succeeding? Should I apply for a B1 or a B2 visa? You can apply for a B1/B2 combo if your purpose of visit is both business and tourism. I recently had a canadian trv refusal also. That's curious. Why was the Canadian visa refused? 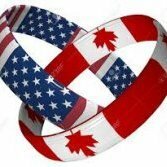 Canada and US share immigration informations so depending on the reason why you're Canadian visa was refused, US might refuse it also. You apply for a B1/B2 combo. From what you have posted your odds do not look that great but it really depends on your ties to your home country. I will be having my wedding in April. Does your fiance live in the US? Also, what is your country of origin? A US trip for appreciation of recent performances is odd. I've heard bonuses, never a US trip. Do you intend to travel before or after the April wedding? Your odds depend, in part, on ties to your country. No documents need to be submitted for the b1/b2. The Canadian refusal could be a factor. I suggest sightseeing with a spouse.. more fun! Application and supporting documents reviewed. The applicant is seeking entry into Canada for the purpose of visiting family members. The following information was noted during my review of the documention presented: - The applicant has no or limited prior travel history; - The applicant's ties to thw country of residence appear weak; - The applicant has limited or minimal funds according to documentation provided. As a result of my careful review and considering all relevant factors presented, on balance, I am not satisfied the applicant is a genuine visitor who would comply with the conditions oftemporary entry. Application is refused. The VO made a mistake considering me as a family visit visa. I have no friends or family in canada. And I specifically applied for tourism purposes. I applied with my girlfriend as a group maybe that was a reason as my main tie to my home country is her and she was also planning to go with me. I stated about the wedding and submitted proof of venue booking, wedding invitation and honeymoon booking. I sent an email to the High commision of Canada appealing but they replied saying there is no such thing as appealing for a Canaadian TRV and advised to reapply which I didnt. No she is in my home country. I am from south east asia. What if I am travelling alone and before my wedding? As I stated before I was planing to visit Japan last year and I got my visa too. But my company was going through some hard times and requested me to stay back if at all possible. I did cancel and helped my workplace. So they are also kind of paying me back for my gesture. Planing to travel before the wedding. The conference starts 4th of april. I plan to travel from 3 - 10 of april. My weddings on the 25th. Leaving her behind would strengthen my ties innit? So that I could travel after the wedding again with her. The odds of getting a visa and traveling by April 3rd are remote, unless there are open interview slots soon. 3 weeks is usually not enough to obtain a US visa. And has the company recovered financially for them to sponsor your travel to a conference half way around the world when under financial straits as recently as a year ago? Interesting that Canada details reasons. The weak ties and minimal funds could be an issue for the US too if the CO comes to the same conclusion. From where I am the consular website says it takes 3 days. I will get the interview with a wait time of 3 days. And yes the company is running quite well now. Will my wedding and my previous history and the fact that my employer is sponsoring me financially and I am leaving my fiancee behind be good enough ties? Interesting that Canada details reasons. The weak ties and minimal funds could be an issue for the US too if the CO comes to the same conclusion﻿. I had to pay extra to get the VO notes. Will﻿ my wedding and my previous history and the fact that my employer is sponsoring me financially and I am leaving my fiancee behind be good enough ties? 3 business days, what is the typical wait time for a visa after that? What if you are put on AP? a fiancée is generally not considered a tie. I don’t know about the company sponsorship, we have seen people with that both approved and denied. Depends on how the CO sees the totality of your circumstances.